Pigeons often roost and perch on gutter systems and pipe close to where they are nesting. 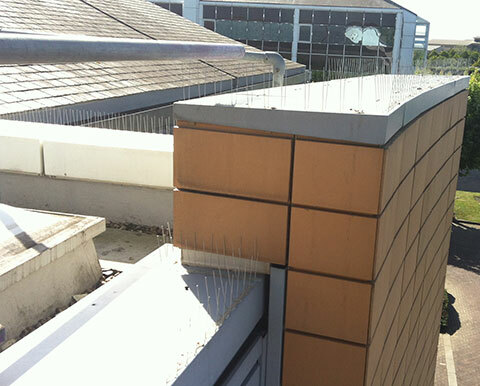 Stainless steel Anti-Roosting point will prevent them from perching on these areas and contaminating the areas below. 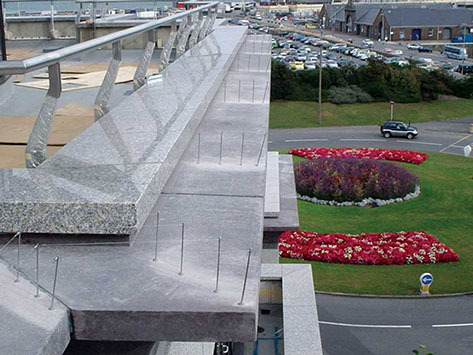 Stainless steel pigeon spiking or low profile bird wire can installed to the stone feature and lead flashing on the tops of most building. Pigeon will constantly perch on these areas especially when nesting within the building structure. 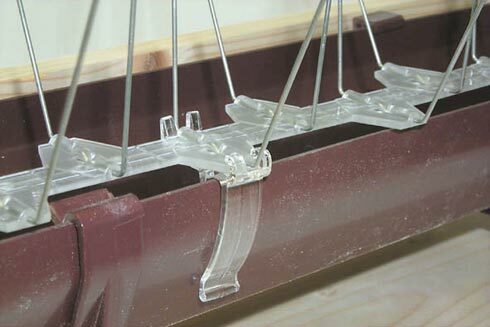 The stainless steel point is moulded into a plastic UV stable base and connected to the gutter using special plastic clips. Pigeons will perch and sometimes nest on window ledges, pipes contaminating and heavily fowling these areas with their dropping (Guano). This can be very unpleasant in the summer time period when the windows need to be opened. 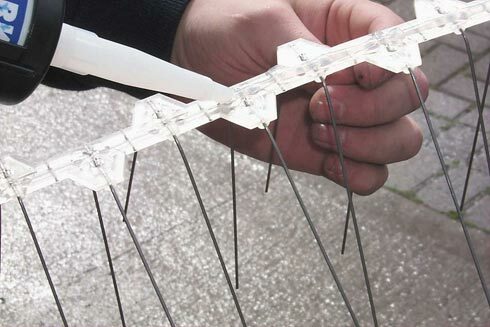 Narrow stainless steel pigeon spiking can be installed to the ledges and pipe work when pigeon netting can't be installed. 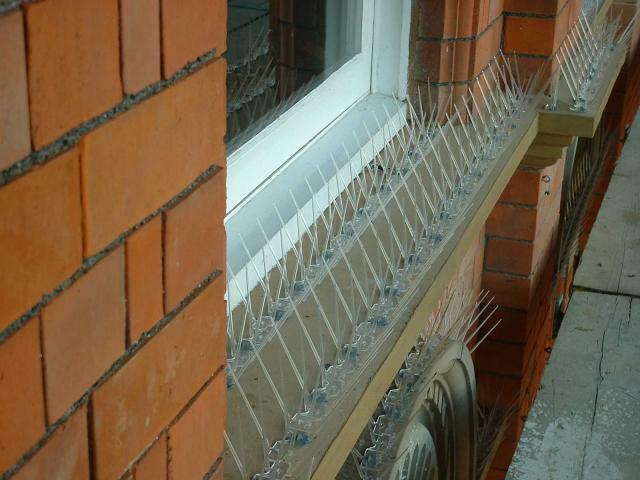 This will prevent the pigeon from landing, thus preventing nesting.